Kinetically amalgamated bristles (No Metal or Staples). 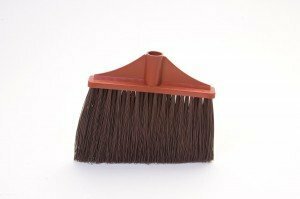 Bristles are melted into the broom block for a secure, Metal-Free bond. Ideal for use in health care, food service and correctional facilities. Sweeping broom flagged for fine sweeping.